Beyond providing data for all 32 NFL teams, PFF also supports network broadcasters with game-preview packets that are used to enhance the in-game experience for fans and viewers. This Titans-Texans preview features the same information our broadcast partners use for team research and in-game production. 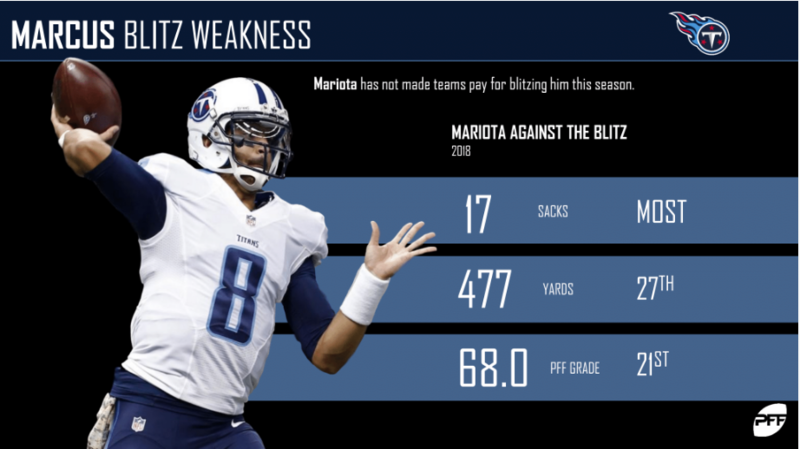 Quarterback Marcus Mariota has struggled mightily against the blitz this year. He’s taken the most sacks among signal-callers and has earned a grade of just 68.0 when the defense has sent an extra rusher. 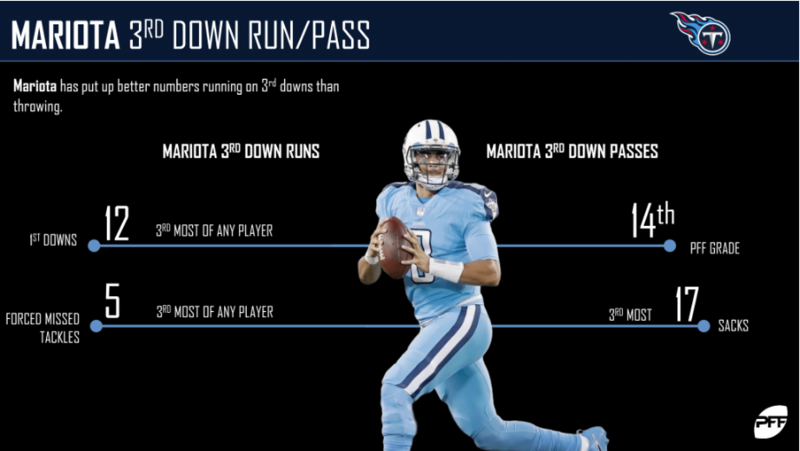 On third downs, Marcus Mariota has put up better numbers as a runner than he has as a passer. 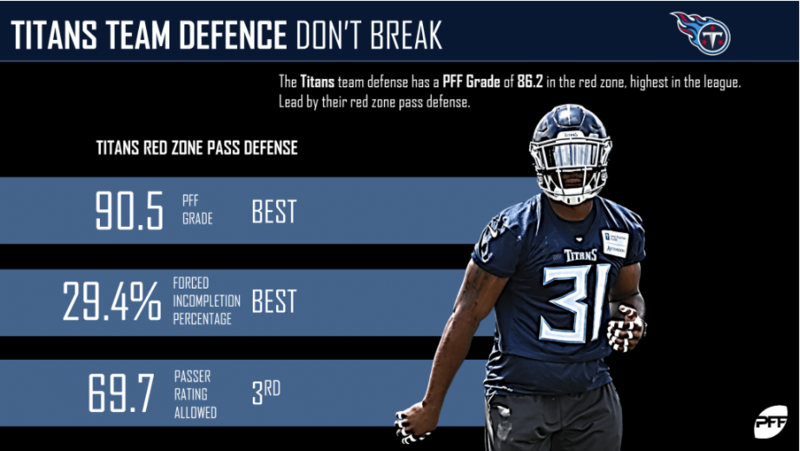 The Titans pass defense has allowed a passer rating of just 69.7 when the opponent is inside the red zone – the third-best mark among teams. 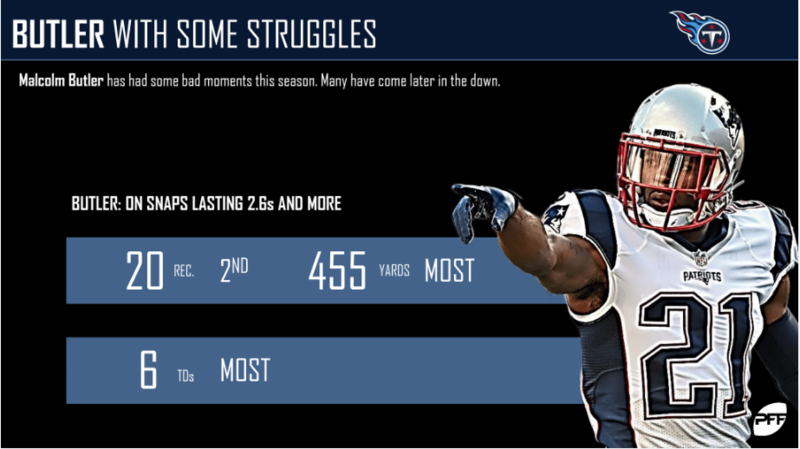 Malcolm Butler has really struggled this year, especially later in the down. 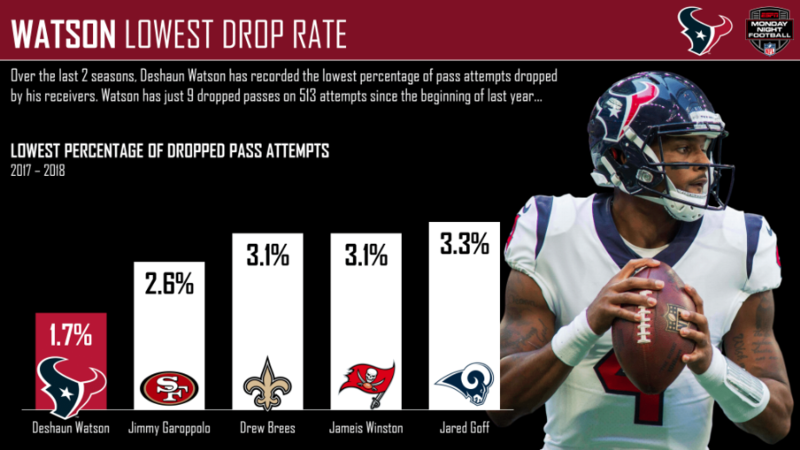 Over the last two seasons, just 1.7% of Deshaun Watson‘s pass attempts have been dropped – the lowest mark among quarterbacks in that span. 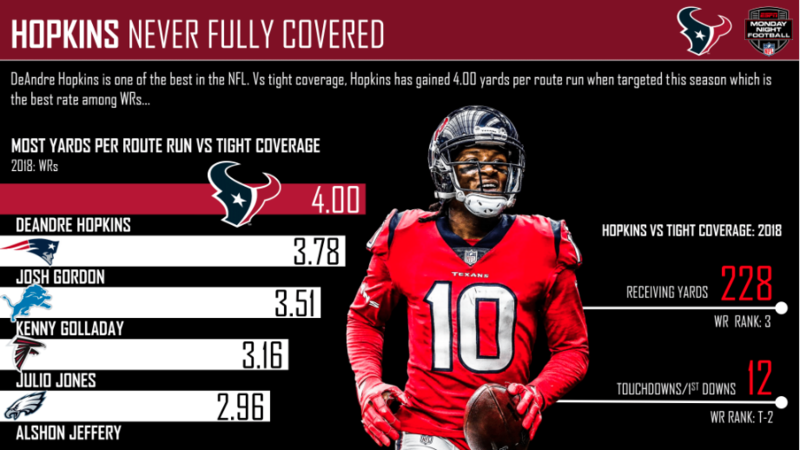 DeAndre Hopkins has averaged 4.00 yards per route run against tight coverage this season, which is by far the best mark among wide receivers. 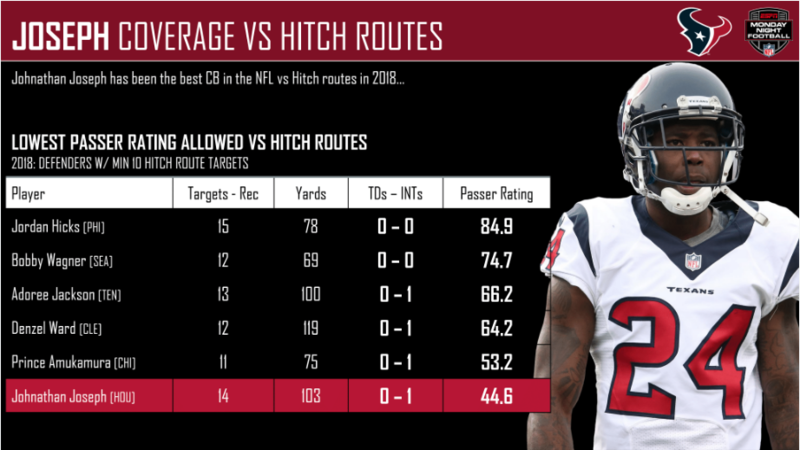 Good luck running hitch routes against cornerback Johnathan Joseph. Justin Reid has made an instant impact for his team this year. 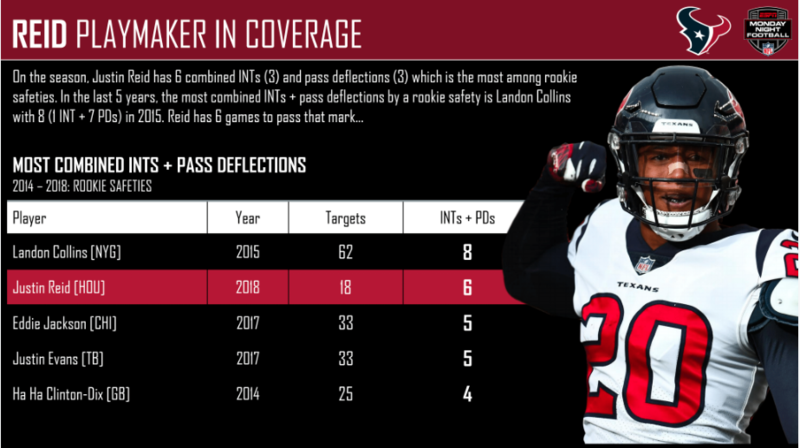 All told, he’s tallied six combined pass breakups and interceptions – the most among rookie safeties. 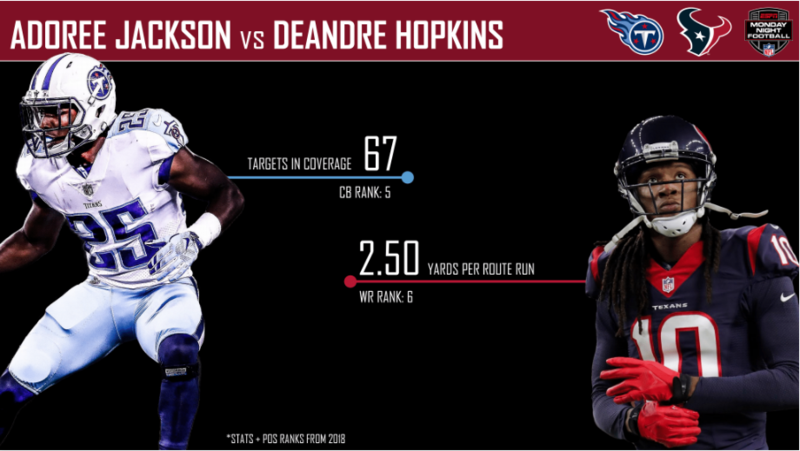 PFF Greenline has projections for the spread, moneyline and over/under of the Titans’ matchup with the Texans. Get its picks here.